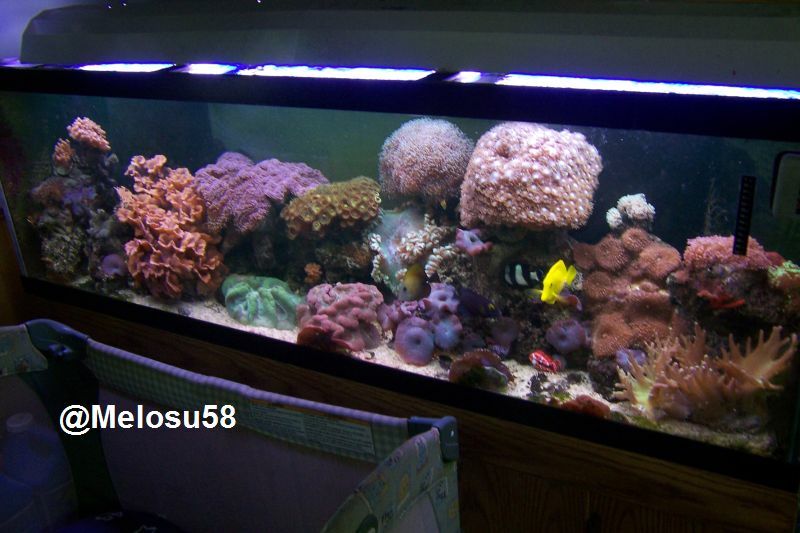 I had a VERY limited reef, mostly fish/inverts only set up in a 75G, about 15 yrs or so ago, but due to multiple moves, had never set it back up. Now, though my 75 is a happy FW, I have an empty 29G that is becoming increasingly unhappy at being left dry. So...I have decided to try the SW route again on a slightly smaller scale. Aragonite sand; the equivalent of 30 lbs or so. Previously, I had used two canister filters, one at each end of the 75. This time, however, I am looking at the EcoSystem 60 hang on filter as it is a wet/dry system. During the live rock curing process, however, I will just use powerheads and a spare canister filter. My light is already a dual tube in which I have a full spectrum daylight and an Actinic bulb, placed over a glass cover. I always used Instant Ocean for the salt, however, does anyone have any other ideas/reviews/preferences on the other types of salt out there? I also haver a brackish tank, or will anyway, that will use the same supply. There is no one perfect salt. If there was we would all be using it. I use Oceanic salt mix. If you do a search you can come up with some threads on what type lights everyone uses and why.